patterns > Clover Mfg Co., Ltd. 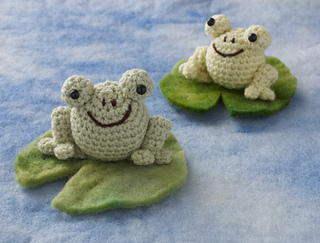 It is the pattern to make two frogs in different sizes. The technique is simple crochet in rounds.